This October in Killinochchi, 500 student leaders from all over the island will gather; they have been nominated by their respective school to attend the 6th‚ Unity Camp -” hosted by Ekamuthu Oray Makal Unity Mission Trust. The camp will be conducted from the 17th to the 20th of October 2013, and will also have over 40 teachers and 60 volunteers (most of who are past campers) in attendance. 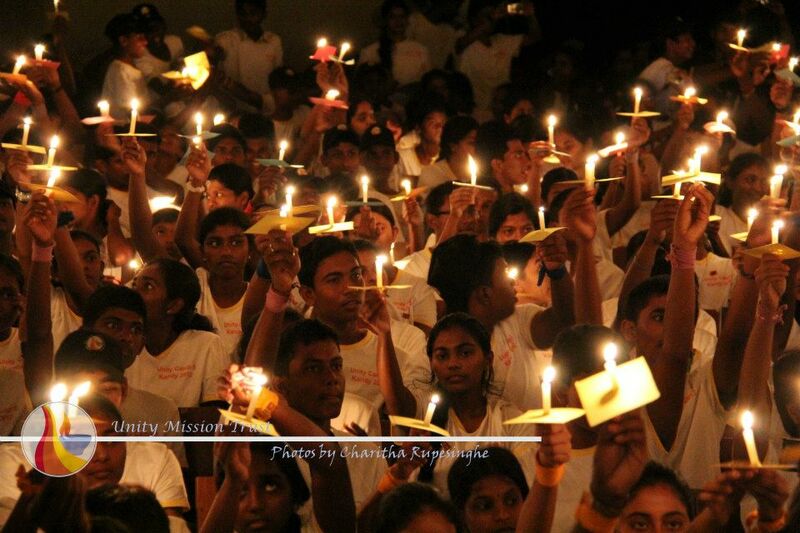 The Unity Mission Trust has been in existence since May 2009 and is a‚ registered non-profit trust that is dedicated to fostering unity, integration, healing and reconciliation between the war affected teenagers and young adults in the Wanni area and their peers from all over of Sri Lanka. The Unity Mission Team has pioneered and built up the concept of the conduct of multi-day residential overnight leadership development, capacity building and personality development oriented program; that aims to foster unity, integrations, and healing as part of a unique leadership program. These are known as the Unity Camp-â„¢s, and from the 17th to the 20th, will happen for the 6th consecutive time -” the previous camps having taken place in Colombo, Mullaithivu, Mannar, Tharanikkulam‚ and Kandy. The content of the camp will include leadership and personal capacity building sessions, sports activities, oratory, drama, music and singing competitions, art and craft workshop, team building and mind development activities. The Unity Team is currently structured as a voluntary organization with a pool of around 60 volunteers available to support ground level projects. In addition the Unity Mission Trust Team also has in affiliation a group of senior consultants, most of who are retired Education Officers who have volunteered their time towards the work of Unity Mission Trust. Further,UMT encourages and partakes in the development of the skills of these young leaders so they will then understand and accept their status as equal sons and daughters of a beautiful Mother Lanka and move forward united as one to build a new Sri Lanka, a Sri Lanka that has the strength of all its people, heralding in the most wonderful part of our history. The Unity Mission Trust is inviting those interested to contribute to the Camp to invest in sponsoring one student, with each caring person who does so, then making an investment in Sri Lanka-â„¢s future ! The cost of investing one student is Rs. 5,000 and interested persons can sponsor a student leader or even‚ a group of 25 at Rs 125,000. Contributions can be made by cheque to the Trust-â„¢s Account, -ËœEkamuthu Oray Makkal Unity Mission Trust-â„¢ at People-â„¢s Bank, A/C No. 014100180004373. Swift Code PSBKLKLX / PSBKLKLX 023. Unity Camp ! well done ! One country , United Provincial Council of Sri Lanka (UPCSL) , Unity in diversity ,no shortcut , United Mother Lanka ! Permanent settlement of all communities in Killinochi and make Town of peace. SORRY, CAN SOME ONE ENLIGHTEN ME ON A PART OF THE TITLE ” ORAY MAKKAL ” Is it related to a Muslim name ? Also ” Unity Mission Trust “, is it a Christian sponsored organization. ? Just being curious. No malice. This is another BS attempt to discredit SL, show LTTE terrorists as heroes, male racist Tamil demands, etc. I believe that Mr. Bertal, Founder Trustee / Co-ordinator can please answer the questions raised, as it will enlighten all readers whose thoughts are symbolic of mine. Just one more question, what is the source of funding the said Campers ? Stupid reconciliation BS cannot bring peace. WHY IS BERTAL NOT RESPONDING. ? SOMETHING TO HIDE EH ? This entry was posted on Sunday, October 13th, 2013. You can follow any responses to this entry through the RSS 2.0 feed. You can skip to the end and leave a response.